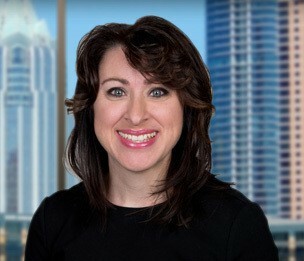 Sherri Wilson is a Senior Attorney and member of the Intellectual Property Practice Group in Dykema’s Austin, Texas office. Ms. Wilson focuses her practice on patent, trademark, and copyright law, with an emphasis on due diligence, litigation, and prosecution of intellectual property. She also provides counsel to executive management of companies in connection with identification and protection of intellectual property, as well as, strategic legal advice on other technology-related matters. Prior to practicing law, Ms. Wilson worked as an electrical design engineer in the telecommunications and defense industries. As a design engineer, she developed and validated circuit boards for cellular and data communication applications. These designs involved high-speed circuit design, signal processing, firmware development, and software integration. Ms Wilson also worked with cross-functional teams to develop a GPS solution for positional tracking. Ms. Wilson’s strong technical background has allowed her to effectively represent clients in a wide range of technological areas, including semiconductors, wireless communications, electronics, sensors, software, internet, and mobile applications within Apple iOS and Android. Counsel in a patent infringement lawsuit in the Northern District of California involving video graphics technology. Case settled favorably for the client. Counsel for multiple software patent infringement suits in the Eastern District of Texas. Counsel for several trademark cases in U.S. district court and before the U.S. Trademark and Trial Appeal Board. Counsel in multiple copyright infringement lawsuits in the Western District of Texas, with multiple cases involving infringement by Chinese Defendants. Counsel for case involving Lanham Act claim of false designation of origin in the Western District of Texas. Case included complex analysis of Google data and internet protocol data. At trial, client prevailed with jury awarding damages of $2.3 Million. Axcess Int’l, Inc. v. AMAG Technology, Inc. et al. (E.D. Tex. 2016) – patent infringement suit. Mission Pharmacal Company v. Hi-Tech Pharmaceuticals, Inc. et al. (W.D. Tex. 2016) – trademark infringement action. James Avery Craftsman, Inc. v. Sam Moon Trading Co., et al. (W.D. Tex. 2016) – copyright infringement suit. Trover Group, Inc. et al v. USA Vision Systems, Inc. (E.D. Tex. 2014) – patent infringement suit. Wickfire, LLC v. Trimax Media, Inc. (W.D. Tex. 2014) – Lanham Act claim. Waves Audio, Ltd et al. v. Motorola Mobility LLC et al. (N.D. Cal. 2013) – trademark infringement action. Rotatable Techs, Inc. v. Blastro, Inc. et al. (E.D. Tex. 2013) – patent infringement suit. Positive Technologies, Inc. v. Sony Electronics, Inc. et al. (N.D. Cal. 2011) – patent infringement action. Drafted and prosecuted several utility patent applications pertaining to medical products, retail products, finance, and related technologies. Drafted and prosecuted numerous trademark applications, as well as, responsible for maintaining the trademark dockets for numerous clients. Drafted and prosecuted numerous copyright applications.